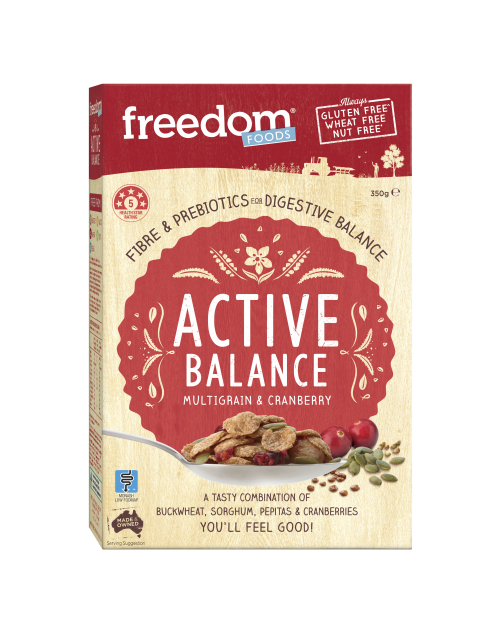 Dried Fruits* (36%) (Sultanas, Apricots, Apples), Gluten Free Cereal Blend (32%) [Rice Flour, Rice Bran, Maize (Corn) Flour, Psyllium Husk, Cane Sugar, Apple Juice Concentrate, Sorghum Flour, Vegetable Oils, Salt, Emulsifier (Sunflower Lecithin), Rosemary Extract], Seeds (22%) (Sunflower Kernels, Linseed, Pepitas), Coconut (8.5%)*. *SO2- Contains Sulphur Dioxide to preserve colour and flavour. 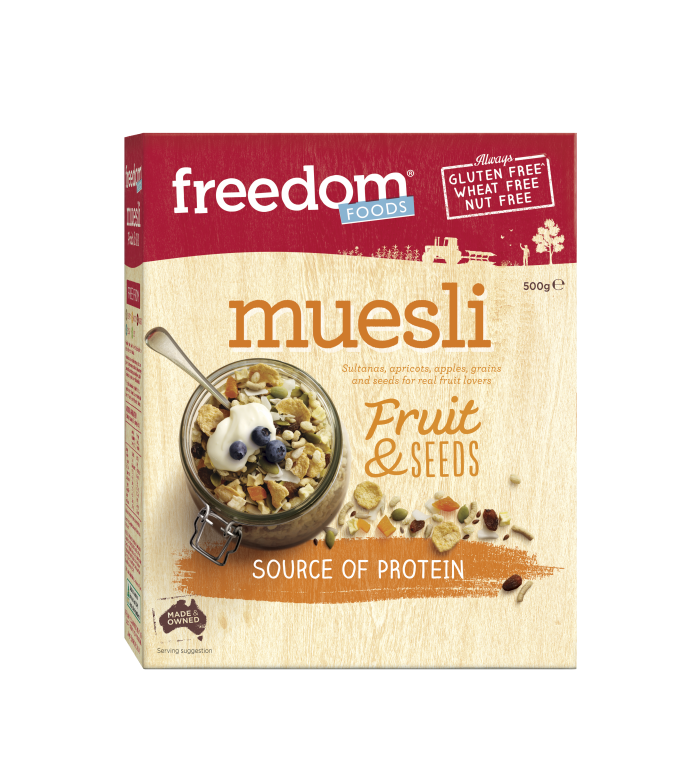 Meet the ultimate feel-good muesli: a delicious combination of gluten-free cereals, seeds, juicy fruit pieces and a pinch of coconut. 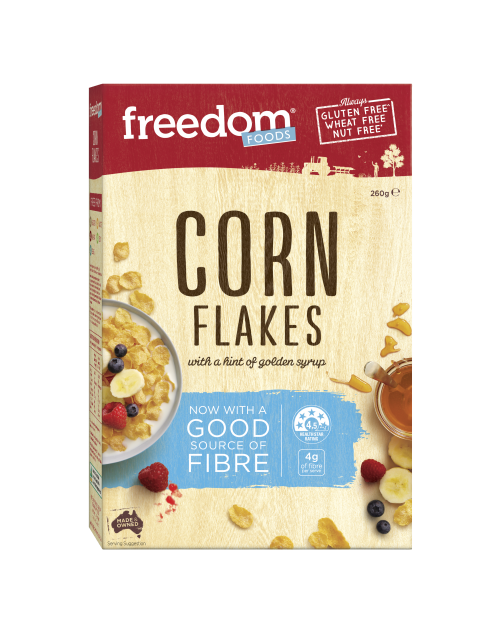 With psyllium for fibre baked in to the flakes, it’s also a good source of fibre to keep your tummy happy and healthy. 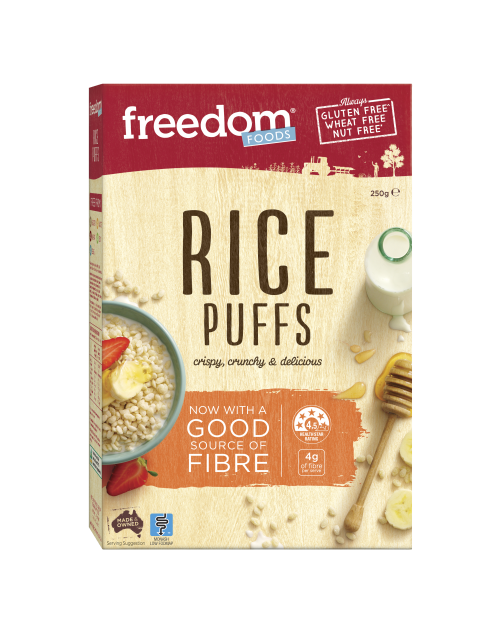 Tastes great on its own or mixed with your favourite muesli mix-ins. My absolute favourite “flavour” amongst all the cereals!! Full of seeds & fruit and packed with fibre!